ARTISTS' ACRYLIC, RAW UMBER, 2 OZ. Smooth, lightfast, and permanent, with excellent pigment quality, color strength, and longevity, Blick Artists’ Acrylics offer an exceptional combination of quality and value. 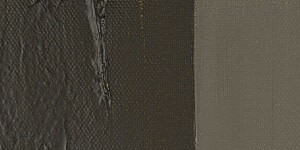 These high-viscosity acrylics are intermixable with other acrylics, and may be thinned with water or various mediums. From the jar or recyclable aluminum tube, both are equally thick and dry permanently insoluble. They're suitable for any acrylic technique or for simulating oil paint effects. Quality and value make Blick Artists' Acrylics a beautiful choice for students, professionals, and aspiring artists alike!